Most people think that Gatlinburg is where all the fun is in Tennessee. Gatlinburg is fun if you like to shop, but if you want a place to have fun, family time, Pigeon Forge is where it's at. My family recently took a trip there. So, let me tell you why you’ll like it. 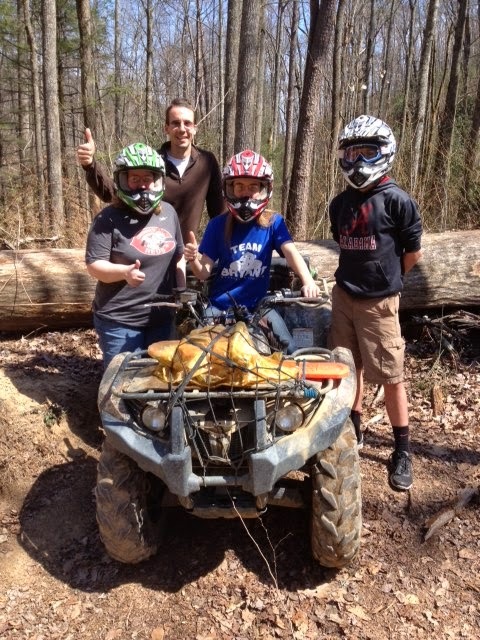 My favorite thing was driving an ATV around the Smoky Mountains, around rocks and through creeks with a guided ATV ride. Another favorite was riding and racing go-karts, and there are lots of places to do that. On our last day, we went to Dollywood. It is not as fun as an amusement park like King's Island, but I liked it better than Holiday World's park. My favorite coaster of the five was called Mystery Mine, because right before the big drop, you rode straight up (yes, STRAIGHT up). Pigeon Forge also has a lot of cool museums, like Wonder Works. It's a building that is upside-down. We also stopped at the Titanic museum that actually looks like the Titanic on the outside. We didn’t get to try everything -- like indoor sky diving and the maze of mirrors -- but I hope we get to go back again. So if you’re looking for a fun family vacation, consider Pigeon Forge, Tennessee!